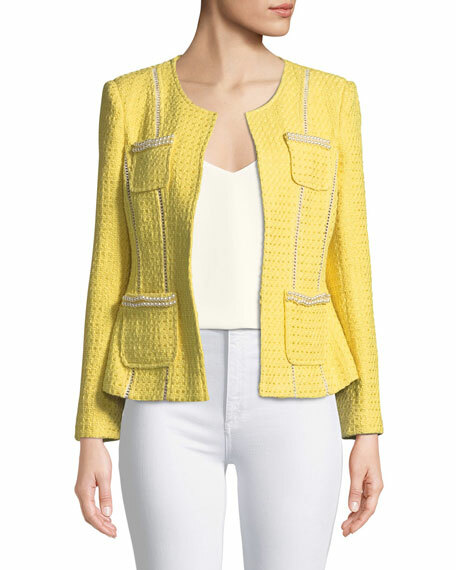 Berek tweed jacket with pearl trim. Crew neckline; hook/eye front closure. After an inspirational trip to South America, designer Jack Zyman founded Berek as a line of wearable art. The pieces in the Berek collection feature handcrafted beadwork, hand embroidery, and intricate embellishments. For in-store inquiries, use sku #2561572.